A particularly large and beautiful rock crystal pendant attributed to Amy Sandheim. 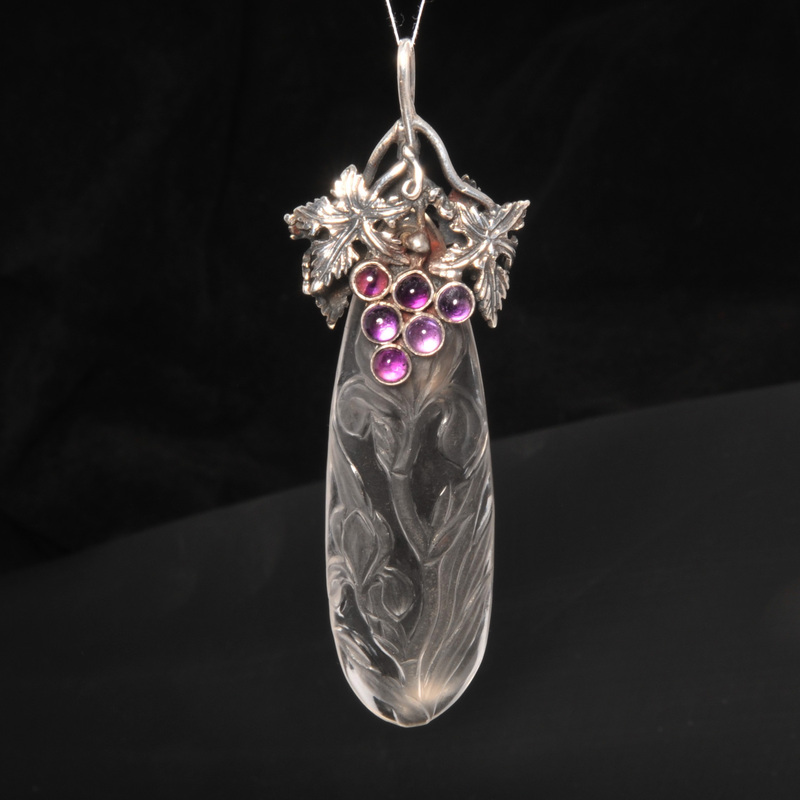 The vine design silver mount hold amethyst purple grapes to one side and chrysoprase green grapes to the other. Amy Sandheim inherited her family jewellers around 1915 and designed and sold arts and crafts jewellery from her shop in Notting Hill, London in the style of Sibyl Dunlop.